So your business needs a landline for customers to call you on, but that doesn’t mean you need to be tied to your desk when talking on the phone. A cordless phone gives you a lot of the flexibility of your smartphone, but with the call quality of a landline. And boy has cordless phone grown up from the big white ones with ariels that we had as kids. In this article, we have listed the top 10 best office cordless phones in 2018 along with their most essential features and how they can benefit your business. You need to understand exactly why these phones are more superior to a corded phone or just using your mobile. So why exactly is a cordless phone necessary? Compared to using a mobile, cordless landlines are more efficient as they can maintain a stronger connection, give superior sound quality, and have other features such as noise cancellation, call forwarding, and conference calling. Even if you are using the best mobile phone, there is, nothing beats the voice quality on the best cordless phones. This is especially helpful if you have many people in your office and noise is unavoidable, or if you use your landline phone a lot. It is also worth mentioning that if you or someone in your office suffers from hearing loss, a cordless phone is your best bet. It gives your business a professional image. Today many of us don’t use a landline at home, but when contacting a business, it is reassuring for customers to see that there is a fixed landline number to call. Having a landline gives a sense of permanence to your business that a mobile contact number does not achieve. A landline phone is connected to your office address. In case of an emergency, this is very helpful as the operator will instantly know your exact location and know where to send help even if you are unable to speak. It can be used over a wide area. If needed, you can connect extra antennas to give you a more full coverage area as well as a wider range. This is very good if you have a large office with lots of people who all use the phone system. You can have more than one handset. Useful if your business is over multiple floors or rooms, you can have a handset in each space so you can answer calls quickly. It gives you the freedom to move. A cordless phone allows you to talk while moving around freely. This is ideal for people who love to multitask or need to talk to others while on the phone. A cordless phone could be the perfect choice for your reception desk, for example. It can get you out of a dead zone. You might have an office that has mobile dead spots, and there are few things less professional than climbing furniture to stop a customer call from dropping out. A cordless phone gives you the same flexibility while maintaining a secure connection. 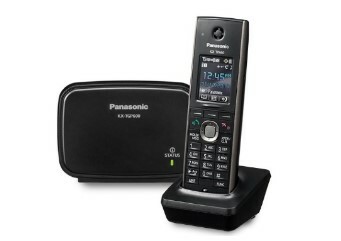 Choosing from the wide variety of cordless phones on the market can be a big challenge. Know the range the cordless phone will be able to cover. 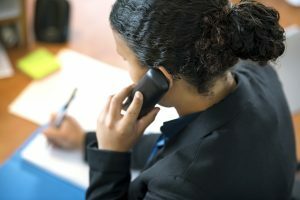 If you routinely walk around your office while talking on the phone, you need a phone that will not quickly lose connection when you get further away from the base. Most cordless phones claim to have a coverage area of up to 50 meters indoors and up to 300 meters outdoors. However, it will still depend on the walls and other obstructions in your office, if there are many thick walls, then the range will be lower. If you suspect anything in your office will lessen the signal, you can use a repeater to add to the range and even send your signal around obstructions to remove any dead zones. Like any other product, there are low-cost phones, and there are the high-end ones. If you need the basics, then go for one of the lower-priced models. No need to get the high-end ones that have all the bells and whistles if you won’t use them anyway. If you require more features, then the price creeps up, but it will be a good investment. 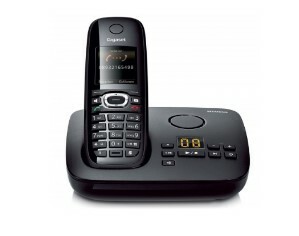 There are also cordless phones in the mid-range price range which have many of the high-end features. Getting a high-quality product will mean it lasts longer and works more effectively. Take note of the brand as well-known names can guarantee you a high-performing product. It could be worth visiting a retailer so you can see and try out the phones for yourself. This way you will get a sense of the physical quality and usability of the phone you want to buy. By now, you’re probably itching to buy a cordless phone for your office. Here is a list of the ten best cordless phones on the market to help you choose which one would be best suited for your office. 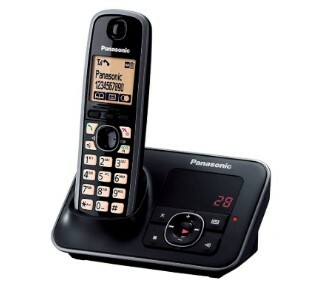 One of the most affordable cordless phones on the market, the Panasonic KX-TG6622EB has a budget-friendly price of around £55. It has excellent features such as a phonebook that can hold up to 100 names and numbers, a 1.8-inch amber lit screen, call history and caller ID. A user-friendly and affordable choice, the BT Diverse 7410 Plus DECT Phone is part of BT’s range of cordless phones that offer reliability and ease of use for your business. It can support up to five handsets which makes it suitable for larger offices. This is another excellent value option, at £50-60 per unit. 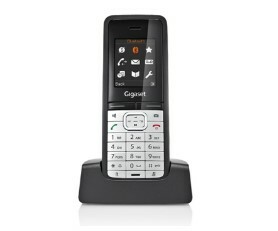 The Siemens Gigaset C595 offers a large set of customisable features in a neat little package. You can add more handsets, customise your ringtones, plus you can set a VIP ringtone that will let you know instantly if the call is from a priority customer (or your boss!). This phone offers an answerphone with long recording time and an ECO mode to improve battery life. This model gives you a bundle of features for a reasonable £70. The KX-TG8562EB uses Panasonic’s ‘Clear Sound’ technology that provides you with crystal clear sound quality for a smooth and glitch-free conversation. It has an easy to read screen, energy efficient Eco Mode, talking caller ID, call barring and a built-in answering machine. 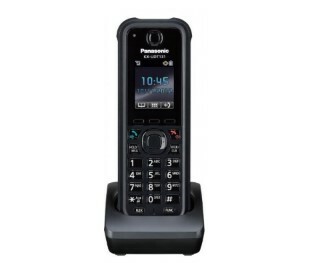 For a little more you can get a feature-loaded cordless phone that looks great. Especially if you need one or two handsets, it is well worth investing more in a high-quality phone. The next three phones include a vast array of speciality features. 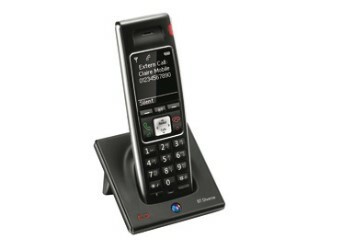 You can do a lot more than making and receiving calls with the Siemens Gigaset SL610H Pro. It is ergonomically designed, well built, and comes with features that are designed with business in mind. It lets you set four different profiles and gives you the option to connect a headset for totally hands-free operation. This phone is a good mid-range option at around £125. Ideal for rough and tough workplaces, the Panasonic KX UDT131 is one of the three offerings of Panasonic in their KX UDT series of cordless phones. It has a sturdy body built to last drops on concrete floors or dust on outside work areas. This phone can work with any SIP-compliant service, which allows you high-quality wireless communications for your business. This top of the line speciality phone is more expensive at £280, but if your work environment requires hardy equipment, then this will work out cheaper than regularly replacing broken phones. This full-screen cordless phone is the coolest looking of the group; you get a smartphone-like handset with the reliability of a cordless landline. 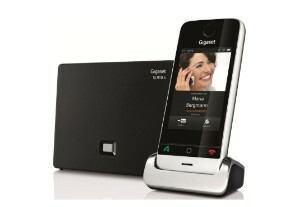 The Gigaset SL910A gives you fantastic call quality with up to 14 hours of call time on a single charge. This phone has all the usual features like an inbuilt answer phone and caller ID; you can even upload photos for your contacts or as a screen background. You will pay a little more for this phone, priced from £110. The next three phones all work with Voice over the Internet Protocol (VoIP) calling technology. 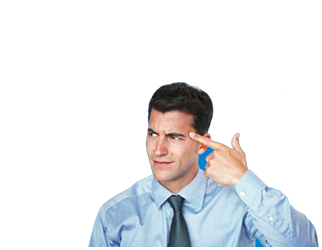 If your office uses VoIP rather than analogue phone lines, then these options are for you. Ideal for your growing business, the Panasonic KX TGP600 can stretch your workspace thanks to its capability to support up to eight handsets. Being an IP phone, this unit can process voice communications using Voice over the Internet Protocol (VoIP). 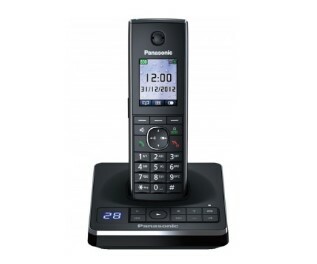 Not the cheapest option out there at around £85, but an excellent opportunity for VoIP users who want a cordless handset. 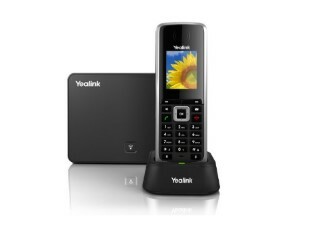 The Yealink SIP-W52P is another VoIP phone option. Communication is SIP-based which gives it greater reliability, the phone is also very eco-efficient. It has an intercom feature, transfer, call forwarding and 3-way conferencing. 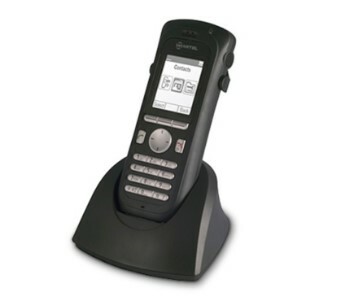 Designed specifically for office use, the Mitel MiVoice 5603 cordless phone is an office workhorse. It has voicemail access with message waiting for the indicator, call forwarding, call transfer, three-party conference, call waiting and retrieve, do not disturb function, and distinctive ringing modes. This feature-packed phone will cost you around £140. These are the hottest cordless phones that you can get in the market right now. We have reached crunch time – which phone will you pick? Consider what other factors are important to you. There will be some features that stand out as useful to your business, whether it is a signal range, contact memory, durability or the look and feel of the handset. How many contacts can it store? Is it durable enough for accidental drops? What other added-value features does it come with? How long can it last on a single charge? Does it have any privacy and security functions? What is it’s signal range like? A cordless phone can make office life more comfortable, and with these modern feature-filled options available, it’s a no-brainer to go cordless. Good luck on your hunt for the perfect phone for your business!